Wet suits work by trapping a thin layer of water next to your skin. Choose one which is snug but not too tight. 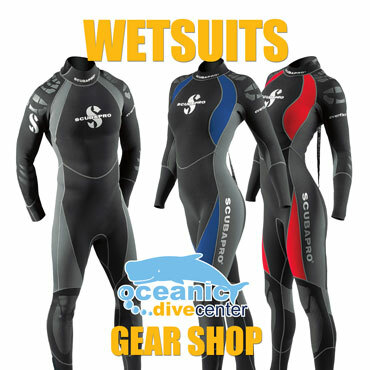 7mm suits are ideal for cold water, modern 5mm suits are ideal for the Red Sea and some combination suits will suit most conditions, 3mm suits or less are ideal for the tropics.The thickness of wetsuits Phuket divers use is generally 3mm or less. The first thing you must decide is which thickness of suit is best for you. Generally we would always recommend going thicker rather than thinner if you are unsure. It is unlikely that in the water you will become too hot. 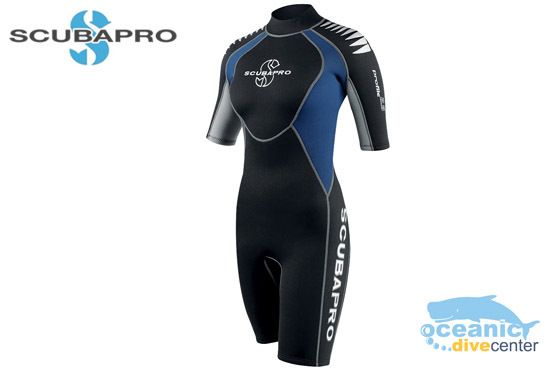 In tropical waters consider a full length suit to protect your arms and legs from abrasion and the resulting stings, but a shorty wet suit will be perfectly okay. Just adding a rash vest under your wet suit as a base layer will keep you much warmer than without. This is also a great tip if you have an old wetsuit that has compressed over the years and is no longer as warm as it once was. If you recall from your dive training, as you descend deeper the neoprene, which the suit is made of, will crush and compress. This means that the suit will become less buoyant so you will need to add air to your BCD to remain neutrally buoyant. After the day or night’s diving wash your suit in fresh water and allow it to dry in the shade. Avoid leaving neoprene exposed to direct sunlight for long periods as it degrades the neoprene. 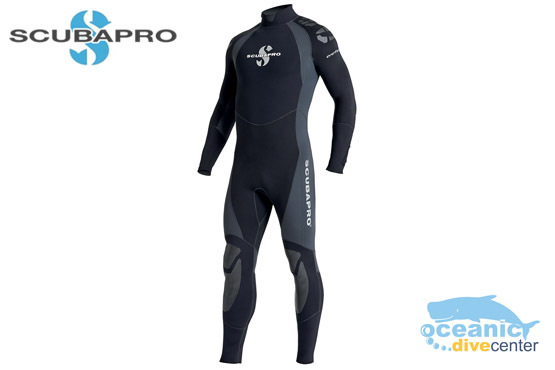 Scubapro’s full length, men’s westuit for those slightly colder dives whilst retaining full flexibility and also lightweight for travel.